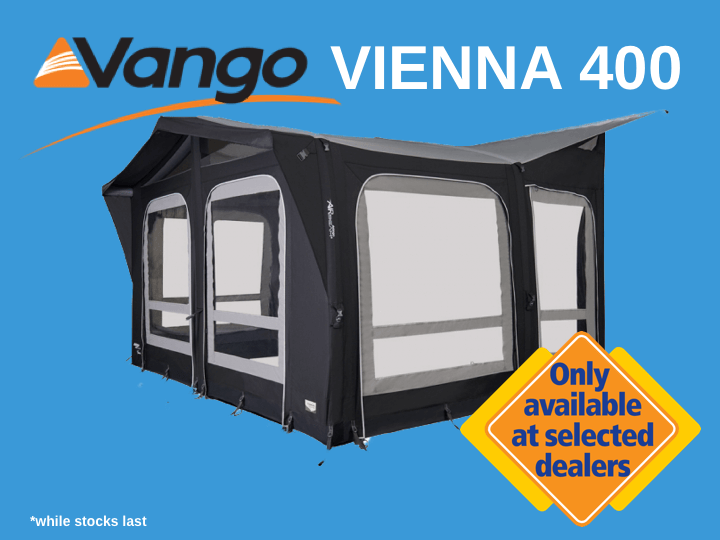 New for 2019, the Vango Vienna 400 awning adopts a traditional shape with contemporary styling. 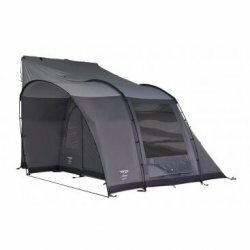 Our luxury awning is ideal for those who permanent pitch, but is easy and quick to inflate should you wish to tour. Designed to offer a great space for the whole family to enjoy, the pre-angled beams and large windows create a bright, open interior. Whilst the new Sentinel TenCate fabric offers peace of mind with added strength Colour Fast technologies,. Sentinel TenCate Residential – Unique development made from polyester and PVA fibres, with moisture regulating properties to reduce condensation. The microporous acrylic coating makes the fabric waterproof, weather-resistant and durable, ideal for caravan awnings used for extended use or residential pitching. 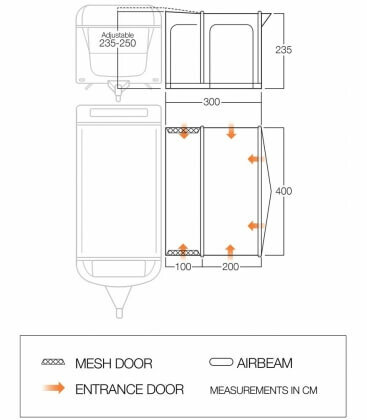 Floorplan for Vango Vienna 400 VIP Awning.